Heavy duty fireman hose nozzle. All metal. Adjustable vortex spray. Heavy rubber grip wrap. 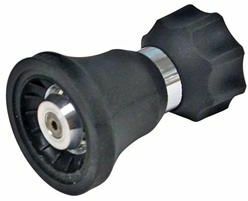 Heavy duty fireman hose nozzle.